Utah theater patrons attending the premier of Red Bike on April 20, 2018,will have the opportunity to participate in a post show discussion with playwright Caridad Svich and director Fran Pruyn. Caridad Svich is a 2012 Obie Award Winner for Lifetime Achievement and is a 2017-2018 Visiting Fellow at Royal Central School of Speech and Drama. She also received the 2011 American Theater Critics Association Primus Prize for her play The house of the Spirits, based on a novel by Isabel Allende. 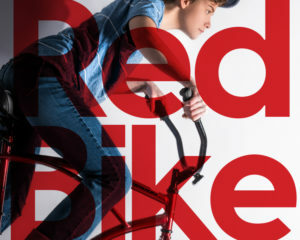 Red Bike is a National New Play Network Rolling World Premier and plays at the Rose Wagner Theater in Salt Lake City from April 20, 2018 to May 5, 2018. It will then play at Simpatico Theater in Philadelphia in June 2018, Know Theater of Cincinnati in January 2019 and the Willbury Theater Group in Providence in April 2019.